In an Airborne Campaign, Why Boats? What makes the Coral Reef Airborne Laboratory (CORAL) a game-changer is its airborne instrument. NASA’s Portable Remote Imaging Spectrometer (PRISM) will fly at 28,000 feet, viewing entire coral reef ecosystems on a scale that no boat-based campaign can match. Yet CORAL is using three research boats and scuba divers in the same areas that PRISM will be flying above. With a state-of-the-art remote sensing instrument in action, what’s the point of getting wet? 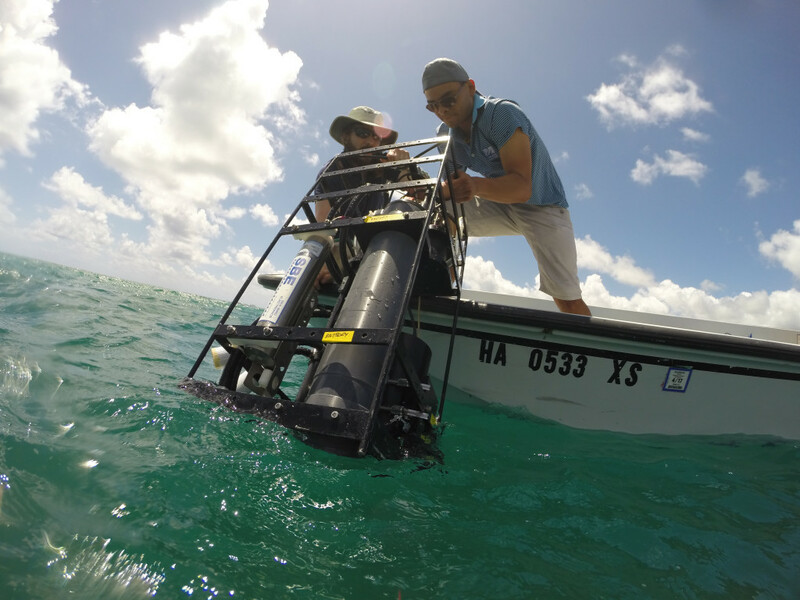 “We have to go in the water to make sure the airborne data are accurate,” said CORAL principal investigator Eric Hochberg, of the Bermuda Institute of Ocean Sciences. The boat measurements are like independent witnesses in a trial. If they agree with the PRISM data, it confirms that the PRISM measurements are valid—which is why this step is called validation. Eric Hochberg talks about the next location for collecting data with Russell and Garcia. 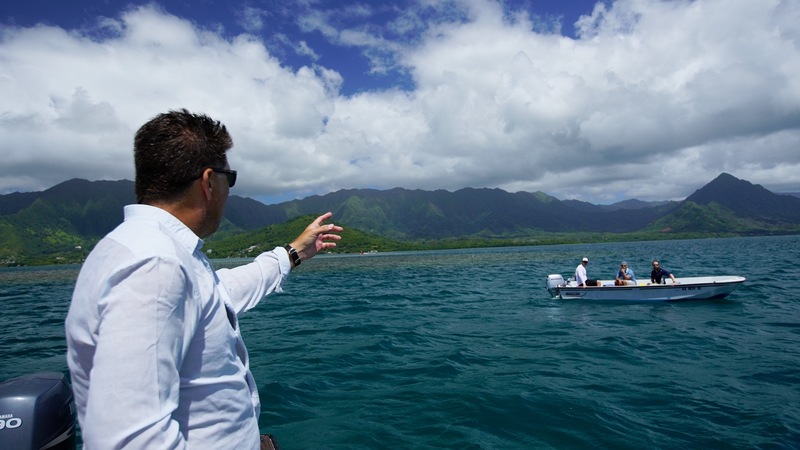 As CORAL’s operational readiness test—its final dress rehearsal—continues on Oahu, the first boat team has been testing optical instruments in the waters of Kaneohe Bay. Researchers Brandon Russell, from the University of Connecticut, and Rodrigo Garcia, from the University of Massachusetts, Boston, are measuring light at the ocean surface and optical properties of the water around the 17-square-mile bay. A second boat team arrived Thursday to start assembling and testing equipment to measure reef metabolism, specifically photosynthesis and calcification. A third boat team arriving Saturday will measure the composition (coral, algae, and sand) of the seafloor, scientifically known as benthic cover. The third team will also measure optical properties (reflectance) of the seafloor.